The sun has been coming and going in New York City. When it finally decides to stay put for as long as I've decided to stay put since my last trip, maybe that's when I'll finally book a getaway to more sun but on an unfamiliar island. 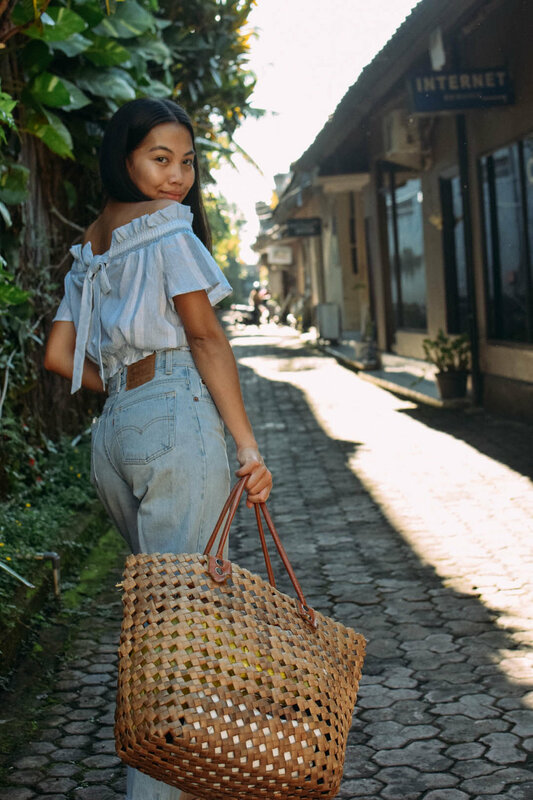 Until then, I will continue to look back at my Bali trip and vacation-inspired wardrobe that's mostly paired with a variety of straw bags sans make-up. I have a feeling that these coming summer months will be as long as the winter months, or at least I hope it would be. 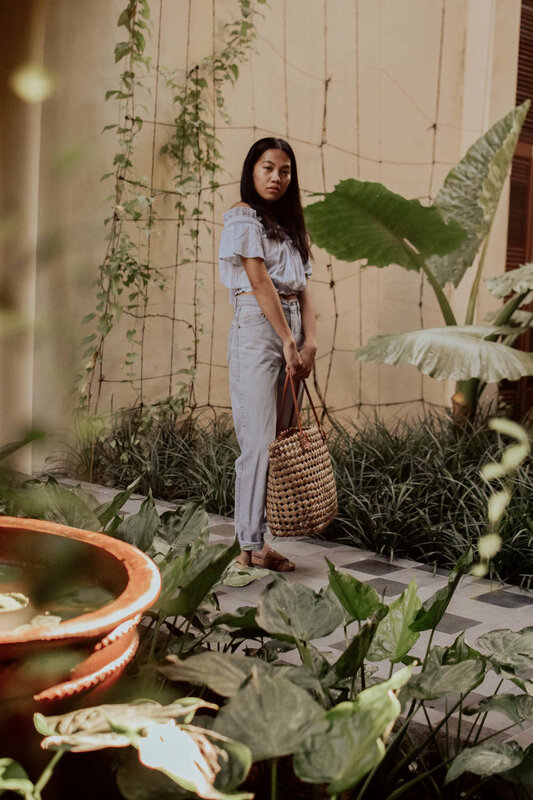 Every summer dress and denim and graphic-T ensemble will have every it-girl's accessory of choice: straw bags. When I was in Bali, I visited the Ubud markets twice and it was still not enough. There were straw bags of different sizes, shapes, color and texture lined up at every turn. I was completely blown away. 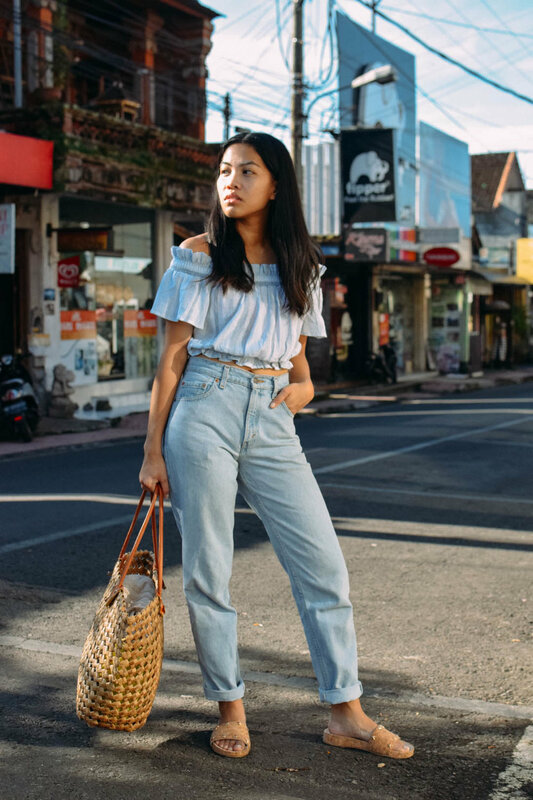 While the currency in Indonesia could get me one straw bag for less than $20 in Ubud market, I thought I would round up some straw bag options for a little over $20 (and under $50) for those that are prepping their summer wardrobe accessories. I'll be honest, there's nothing that compares to the handmade bags in Bali but until you and I get back to the real thing, these options are a close second. Apologies for the long hiatus, my best friends got married in Bali, Indonesia. We traveled almost 30 hours there and 30 hours back, crossed four time zones twice and landed to three new countries on the way to experience life outside of routine and live in utter simplicity and we would not have it any other way. Sans make-up and crushing on orange real hard during this trip. Getting ready for the day took no effort without make-up. All I had to do was throw on this little orange dress from Finders Keepers The Label. I wore zero concealer and foundation and just oils and moisturizers every day. It was the most freeing feeling! I don't know what it is about Asia or anywhere else outside of America but I find myself loving the natural beauty of everything and appreciating more of the little things when I'm there. Maybe it's the blind eye to the idea of modernism or the appeal of simple living and the slow-paced lifestyle that inspire me. But when you're often surrounded by modern architecture in the day-to-day and often updated with what's new in modern technology, you find yourself kind of jaded towards luxurious things and missing out on things that just are. In Bali, Indonesia, nothing was manmade to look pretty or attractive to the eye. The people were just the absolute nicest. They were just being themselves and living for themselves and their families. From the restaurants we frequented to the Ubud markets (we also frequented) nothing was made to look outside of the Balinese norm. The workers had the same routine everywhere we went – to pray before every shift. And that is SO amazing. Every location stood out to me because they are just beautiful the way they are. I think that's what made me fall in love with the place. Here's to my first of many visits, Bali.